Obv. 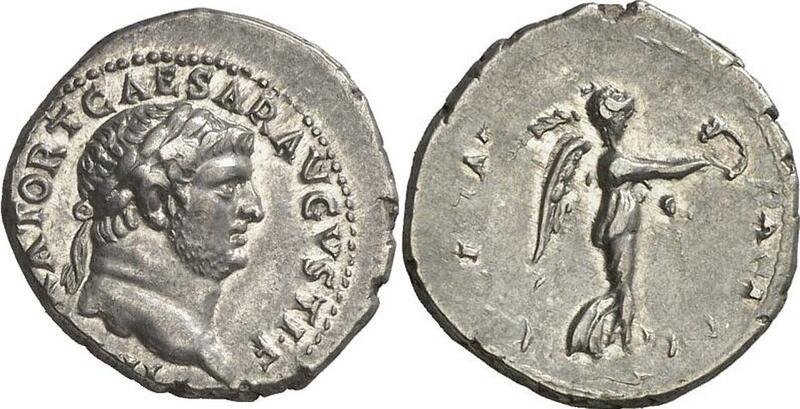 : IMPERATOR T CAESAR AVGVSTI F, Titus head, bare, r. Obv. 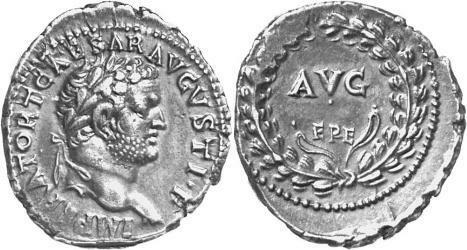 : IMPERATOR T CAESAR AVGVSTI F, Titus head, laur., r. Rev. 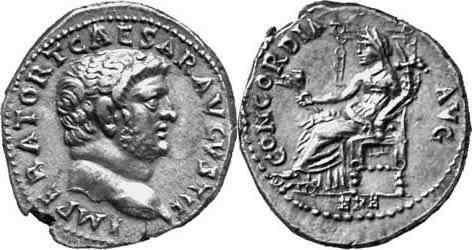 : CONCORDIA AVG, Ceres seated l., r. holding corn ears and poppy, l. cornucopiae; in exergue, . Rev. : PACI ORB TERR AVG, turreted and draped female bust, r.; below, .